That’s when I found out about Shutterfly’s Make My Book Service. Have you heard about it? If you haven’t, you’re in for a treat! 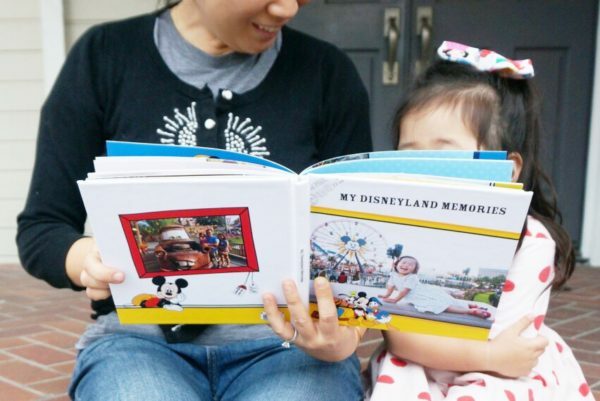 Shutterfly has made a new way of making photo books that’s so EASY and painless! All you have to do is upload the pictures you want to put in your book and select from over 20 book designs. In about 3 business days, the Shutterfly designers will return a preview for you to look over. You can edit and swap out pictures or order the book as is. A one time design fee of $9.99 is added to your order if you end up purchasing your finished book. You can opt to not order it but after seeing how perfectly they make it, it’s hard not to! 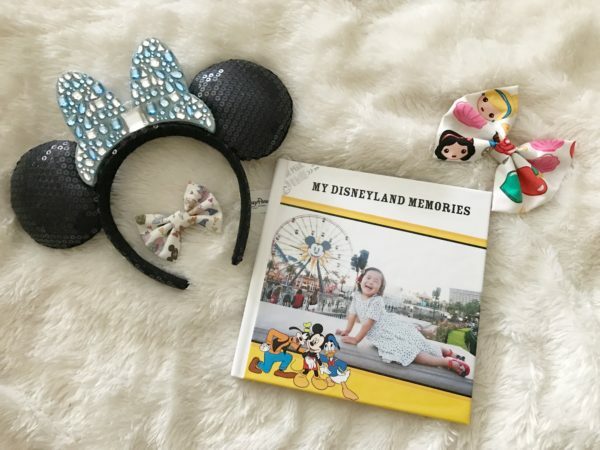 Being Disney lovers, I decided to compile a book of Disneyland memories from all our trips for the past few years since we became annual pass holders. I also wanted to make it into an autograph book but after receiving such a beautiful product, I’m having second thoughts of having anyone write in it. It was so much fun for us to take a look at all the memories from the past three years. It also made me realize how quickly time flew by! We first took A to Disneyland when she was 18 months old. She is now almost 4! There are so many amazing memories with friends, family, and seeing all of her favorite characters. 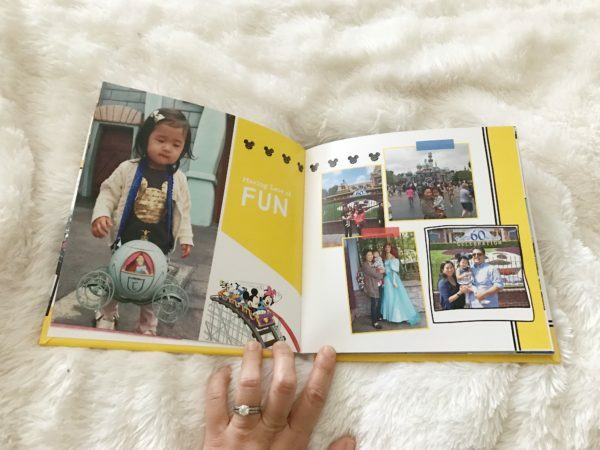 When I received the preview of my book, I didn’t change a thing because the Shutterfly designers did such an amazing job of arranging the pictures perfectly as well as the design elements. I couldn’t believe it! 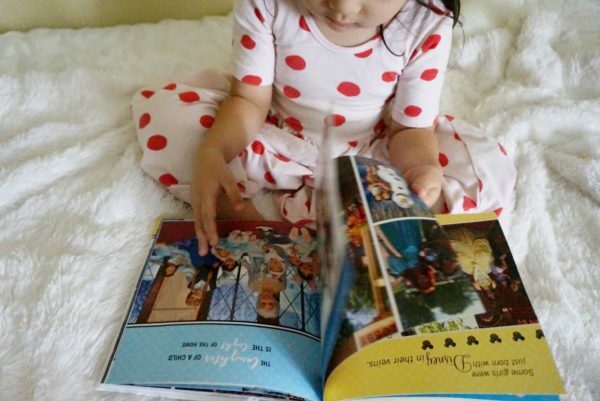 My daughter absolutely loved flipping through the pages and remembering the snippets of that day. Her memory is better than mine because all the trips run into each other but she was able to recall things from specific Disneyland trips based on the picture. She also asked so many questions and made numerous comments as she looked at the Shutterfly photo book. What do you do with all your pictures? Have you made a photo book? 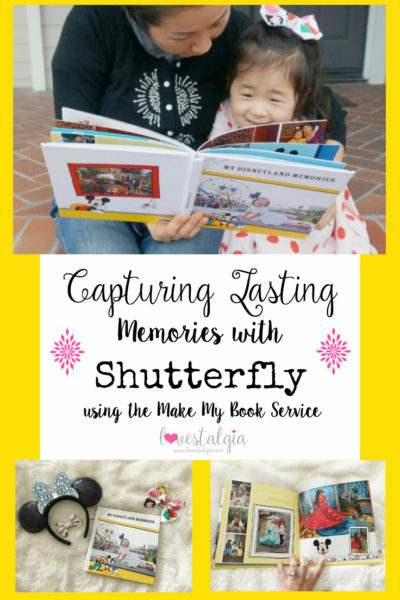 Try Shutterfly’s Make My Book Service to capture all your memories. It’s so easy to do and you’ll get such an incredible keepsake that you’ll want to keep forever. Thank you! I love photo books too! Such a cute photo book! I haven’t tried Shutterfly but have read great things about it. Will definitely check it out! I hope you get a chance to make one! I’ve ordered cards and printed pictures from them and always had a great experience! Love them! I keep saying I want to do this! I need to now! Thank you! 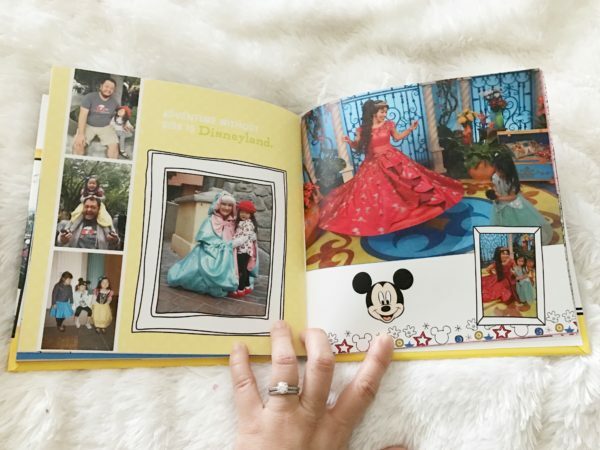 Shutterfly’s Make My Book Service makes it really easy to do! Make one!! How fun! We love Disneyland! I hope you had a great time and can’t wait to see how your book turns out! Shutterfly is the BEST!! I get prints there almost monthly, I do scrapbooking and I love photo albums. I have also ordered a photo book from them too. It really is the best! I used to scrapbook and had many photo albums when I printed pictures long time ago. But these photo books are so easy to make and looks so nice with all the decorative elements! I NEED to do this for my girls with their photos from Disneyland! 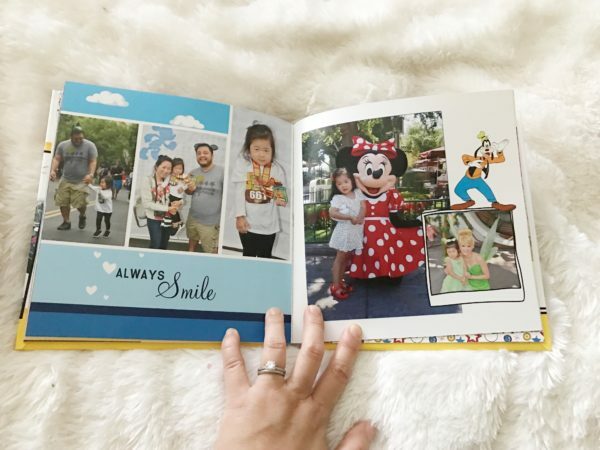 It’s SOOO easy to do with Shutterfly’s Make My Book Service. The longest part was picking pictures and uploading them. Totally make one! Make My Book?!? That sounds like a dream! It’s all of the design work that stops me from diving into making a family yearbook! Now I’m going to have to try it out! I love photo books, this one is so cute!! I am IN LOVE with this service. Seriously. It’s helping me knock out all of the photo books I’ve been putting off. So convenient! I haven’t made a photobook in like 10 years. I really need to make one for my kids. Thanks for the inspiration. I love the one you made for A, she’s the cutest princess.